The ACTIO's Intellectual Property practice deals with the creation, acquisition, protection, development and exploitation of copyrights, trademarks, design rights and websites. We also advise our domestic and international clients on matters concerning breach of confidence, privacy, data protection, contract disputes and format rights. Our team have both extensive experience and thus benefit from close cooperation with state agencies and the Ukrainian State Department of Intellectual Property, national and international organisations which means that we can offer our clients all they need in terms of the protection of their intellectual property. The firm has many years of experience in advising major project in the area of show business, and providing comprehensive protection of copyrights to famous performers and recording companies. 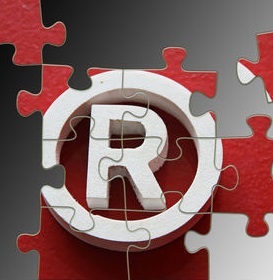 litigating in the matters of protection or registered trade marks, counterfeit products, domain names, etc. Finally, the Firm has developed procedural know-how for efficient and cost-effective protection of the owners of IP rights against infringements. Andriy Omelchenko specializes in scientific and legal expertise, design’s norm-setting activities, legal accompaniment of business, foreign trade, tax matters, as well as in activities in the telecommunication and information field, education and science. He advises the Ukrainian and international companies on Ukrainian law. He has an extensive teaching experience.